We have never felt anything like this before! 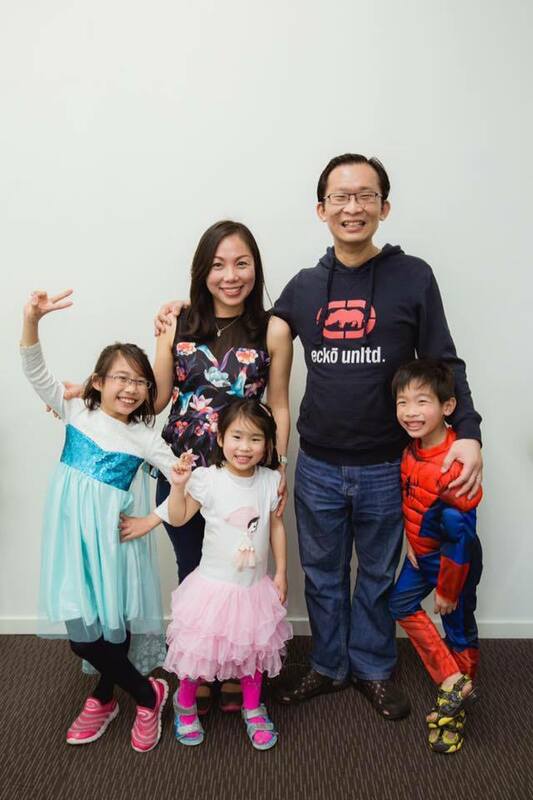 Our family would like to express our gratitude to Ps Brendan and Ps Helen who are truly a blessing to our family here in Adelaide, to the church as a whole, and the community. We are also truly grateful for everyone who has put so much of their time in making this conference happen. It would not be a success without your effort, love and passion! We really thank God for each one of you! Because of your love for God, love for people, you made this happen! Glory to the Lord! During the three-day conference, my family and I were truly blessed in all-areas: the children programs, scrumptious food, comfortable venue and most spectacular of all is the preaching - the pastors were really amazing. The different pastors with different anointings, backgrounds and preaching style, has given us very impactful lessons. This conference reminded of our first Oceania Conference in 2004, in Brisbane. That’s the first time we met Ps Brendan and Ps Helen, they were giving lessons about the Holy Spirit. That was the first time we learned more about Holy Spirit and it’s power and gifts. We are grateful for Barbara, she is such a blessing to our children. They were so blessed forthree days during all children programs. My children were so excited about every session. They learned Bible stories through the Object Lessons! Barbara fascinated my children with her teachings! We thank God for her. Personally for us, this conference hasencouraged us to grow more deeply and to know how to walk in the spirit in the spiritual realm. A few times, we were touched by the Holy Spirit when His anointing came upon us. We felt the manifestation of the Holy Spirit, the experience were so awesome – we have never felt anything like this before! He empowered and convicted us to earnestly seekHispower and giftsas His children. We learned that we should cultivate to see beyond the obvious and natural! And we can walk in the SUPERNATURALpower ofthe Holy Spirit but not just in the natural and ordinary way!!! We were awestrucked by God’s love for to us as His children. We are praying that we will continue to walk in the Spirit, and to manifest the power of the Holy Spirit but not just walk in the flesh! We thank God for this family of GOD!!! We are looking forward Hope Adelaide Conference 2017 and pray that there will be more signups!!! Older PostWhat a privilege to be part of this!